When I was recently in England—a trip to see my parents—I stopped over with some good friends Phil and Sid. With Phil in the garage painting some pieces of wood to have a carpentry job ready for the following morning and their three delightful children occupying themselves indoors, Sid and I took the opportunity to cross the road into the pub to quaff a beer and watch the second half of a football match. I was chatting to Sid about our lives here and explaining, whilst by no means complaining, that the pace seems, at times, relentless. She advised me that we should programme some days off. Sunday might be the traditional day off but we’ll take it when we can: so, from now on, a day off will be referred to as a “Sid-day”. With her wise-words ringing in my ears and with Gabrielle away on a weekend’s violin course, I’m enjoying a Sid-day. I’m not completely idle, as I’ve spent most of the day writing. I’ve just sold an article to an English magazine (I’ll tell you who when it’s published) and I’ve also been asked to write an article for a French magazine, with a deadline of 16th. That’ll be my first in French and I’m dead chuffed, to say the least. 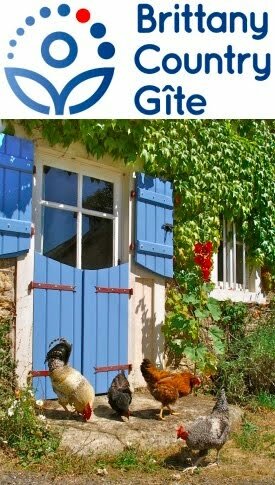 Absorbed in my writing this morning, I wanted to put on some music and delved into a file of music emailed to me by Mark, living in his straw bale house in the Lot region of France. Unfortunately, it wasn’t a format my Apple Mac iTunes recognised, so I clicked on the file and the music started automatically using some other player and I carried on typing. I have to say, pleasant though it was, I did find it a touch repetitive. It was nearing 12.30 and I’d been invited around to our neighbours Paul and Christiane for lunch so I was shutting the computer down when I realised that the music player was on repeat: I’d been listening to a four-and-a-half minute jazz tune continuously for three quarters of an hour. Q. 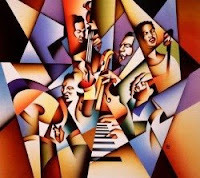 What does that say about jazz? Or perhaps: what does that say about my level of musical appreciation? If today is (sort of) a day of rest, yesterday certainly wasn’t. I opened the curtains to a fair blizzard of snowflakes, which almost encouraged me to cancel the day but in just a few miles (think of a number and add a couple more for kilometres) I found myself under blue skies and sun (if equally cold). 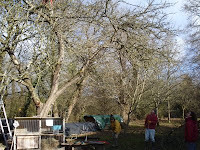 I’d offered to give Julie, Samuel and their friends a free course in the renovation pruning of fruit trees. 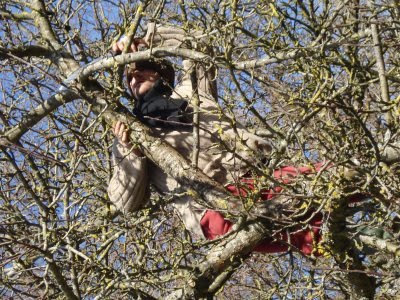 Effectively, I was relaying all that I’d learnt on one of my favourite courses of all time, run by Bryn Thomas, of the Brighton Permaculture Trust. This was by way of exchange as Sam has already given me two days of help on our barn re-roofing project. Despite such early promise, the day varied wildly weather-wise. 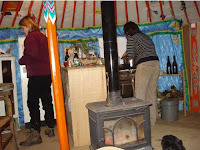 They’ve bought an old stone and cob house to renovate, during which time they’re living in a genuine Mongolian yurt. I believe that the plains of Mongolia are a whole lot drier than Brittany, nevertheless we were very warm and cosy gathered inside for our lunch. Bryn’s course was so good that I remember most of the important details and all I really needed to do was to translate it into my version of French. The day started well, with student / teacher roles well demarcated but after a substantive French lunch and the addition of extra “advisors” (Sam’s stepfather and the guy who used to own the property) and the subtraction of a couple of students it became somewhat chaotic. When those “advisors” had left and equilibrium was once more restored it was fun seeing Sam and Julie become ever more enthused by their newly-learnt skill, as I was on Bryn’s course. As the day drew to a close, I increasingly had to say, “Stop! C’est assez. 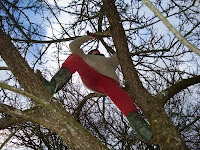 Tu a déjà coupé le trente pour-cent maximum”, which is to say that you must only cut a maximum of 30% of living (including diseased and damaged but not dead) wood from a tree in a year, so that renovation pruning usually takes place over several years.